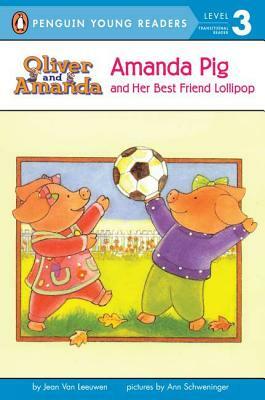 Amanda and Lollipop love playing make-believe at Amanda's house, but Amanda would rather go over to Lollipop's. Except when Amanda finally gets to sleep over at her best friend's house, she realizes that maybe she really does like her own home best. Jean Van Leeuwen is the author of more than fifty children's books, including picture books, Easy-to-Read books, and middle-grade fiction. Ms. Van Leeuwen now lives in another small town north of New York City with her husband, Bruce Gavril. She has two grown children, David and Elizabeth, and a young grandchild, who will surely inspire more stories.